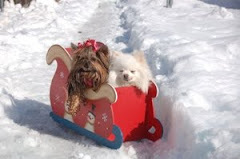 The Virginia Wine Dogs stopped by the woods on a snowy January afternoon to visit Piedmont Vineyards and Winery. 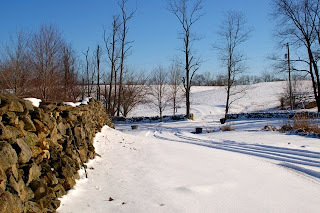 Located halfway down Halfway Road (connecting The Plains and Middleburg), the winery is part of Waverly, a 95-acre pre-Revolutionary War estate. The distinctive manor house graces the label of most of Piedmont's wines. 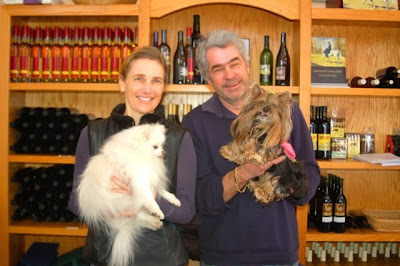 Current owner Gerhard von Finck and his wife, Caroline, purchased the property in 1991"mostly because of the value of the real estate" and found themselves thrust full force into the world of wine. 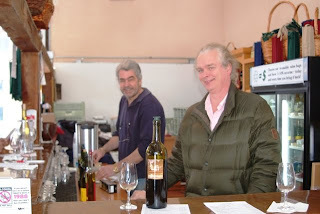 "I'm everything from winemaker to vineyard manager," Gerhard told Munchkin and Pomeroy, adding "today, I'm shoveling snow." 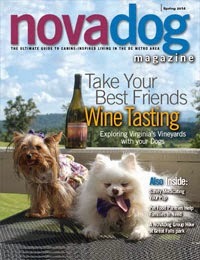 Piedmont boasts status as the first producer of Chardonney in Virginia. Vines were planted and the vineyard established in 1973, during the first wave of Virignia's wine renaissance. 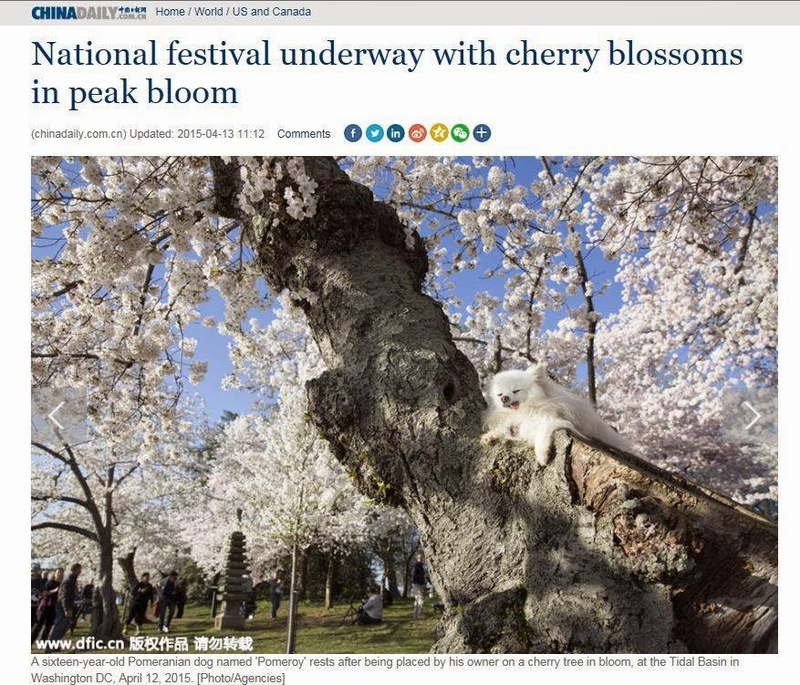 Today, there are 10 acres in grapes. 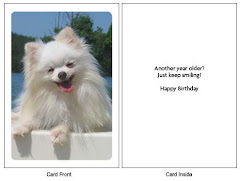 There is also a much more diversified offering. 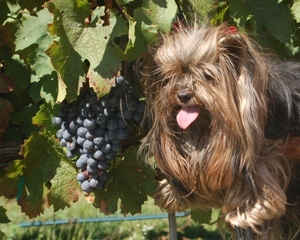 Gerhard's good friend, Mickey Holliday, led Munchkin and Pomeroy through a flight of eight wines. True to the winery's roots, two Chards were featured - the very refreshing Hunt Country Chardonnay, done in stainless tanks allowing the full, refreshing fruit to shine; and the 2007 Special Reserve, aged 9 months in oak. 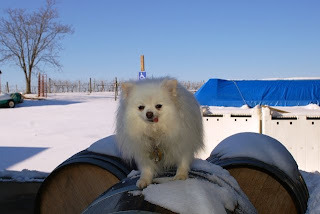 Mickey told the Wine Dogs he had just tasted the 2008 vintage, still in barrel, and it was going to be delicious. 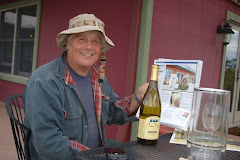 A third version, the Native Yeast Chardonnay, will be released at the end of May (the 1995 vintage of this wine was a Wine Spectator 89-pointer). There is nothing halfway about Piedmont's barrel aging program. Both the 2006 Merlot and Cabernet Sauvignon spent a full 30 months in oak before being bottled in July. The Cab is the "house favorite," with legs that crawl up to the top of the glass and back down again. On the sweeter side were the Little River White (a semi-sweet Seyval which "makes a great sangria") and the Felicita (a dessert wine). 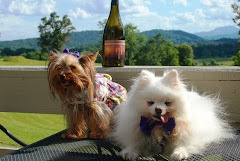 Mickey also introduced the Wine Dogs to a new website (www.fauquierwines.com) designed to make it easy for visitors to Virginia wine country to find up-to-date information about Fauquier County's 18 wineries and their events. Munchkin became the first subscriber! It's a family operation at Piedmont. 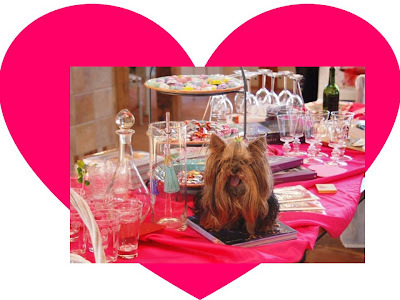 Munchkin's little heart thrilled as Caroline worked her decorating magic to transform the gift table into a virtual valentine. 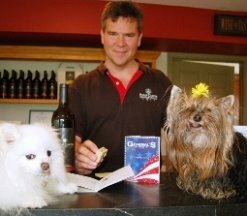 The Wine Dogs settled on a bottle of the 2008 Cab Franc, a smooth wine that went down easy with the Minestrone being offered to visitors. 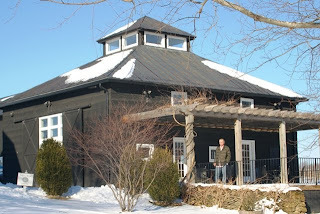 There is ample seating in the rustic tasting room, as well as picnic tables outside for warmer days. 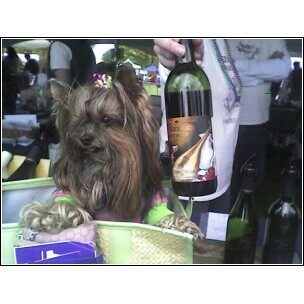 Watch out for Wine Dog Annabelle, however. 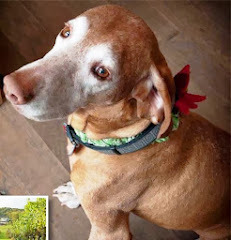 Piedmont's chocolate lab has a reputation as a sandwich thief, albeit a discriminating one who eschews Subway for the upscale offerings of the delis in the charming towns halfway up or down from Piedmont.